We have recently reserched this branch of the family and have been able to trace their origins back over one thousand years to the time of the Norman Conquest.The Musgrove Family are related to the Musgrave's by marriage. George Musgrove's first wife Christiana was the daughter of Thomas Musgrave Musgrave. The Trust Fund that she inherited was from Thomas's grandfather George Musgrave. 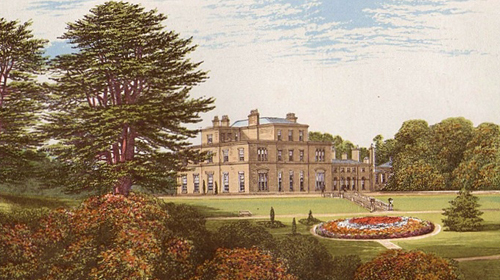 The Musgrave family origins are based in Westmoreland and Cumberland and over the centuries they had established a large family house named Eden Hall near Penrith. The Musgraves were elevated to the nobility when Richard Musgrave was created a Baronet in 1611 for services to the crown. His son Philip married Julia Hutton in 1625 and he became the 2nd Baronet. Their second son Christopher Musgrave became the 4th Baronet after the death of his older brother Philip in 1656 who was the 3rd Baronet. 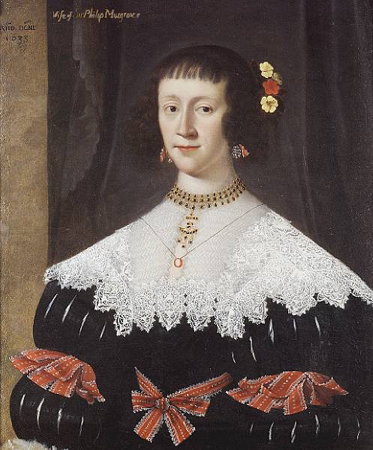 Christopher Musgrave married Elizabeth Francklyn in 1671. They had 11 children and it is their 8th child, George Musgrave born 1682 that links to our family. George Musgrave married Sarah Rosell in 1725. He was employed as Keeper of HM Ordin§ance at Chatham Kent. They had 3 children; Joseph, George and Thomas. It was their son George born 1730 in Rochester Kent who married in 1765 at Shillington Bedfordshire. We can find no details of his wife's name but her family would appear to have owned the Manor House at Shillington. This property then became the seat of this branch of the Musgrave family. He only had 1 child who was also named George and was born in 1769 at Shillington Manor. 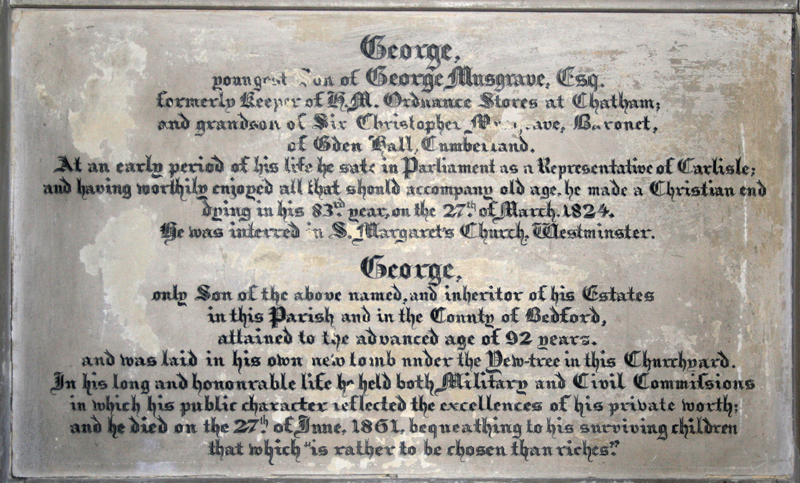 George Musgrave married Margaret Kennedy at Shillington 19th August 1790. Over the next 12 years they had 5 children and their individual stories are shown below (click on each box). George Musgrave became Sheriff of Bedfordshire and as well as the family country House at Shillington they had a central London property at 6 Gorden Sqare St Pancras. Margaret Musgrave died 19th Sept 1859 at Gordon Square. Her Husband George Musgrave died 2 years later on 27th June 1861 also at Gordon Sqare. They are both buried in the Musgrave Family Vault at Borden Church Kent.